What's up with the empty pages and the Ipsum Lorem text? Hi, yes, sorry about that. We have known for some time that our decison to publish the site without the full data set might cause some grumbling but here's why we did it. Our IP statistics showed that most visitors were interested in the galleries and the information contained within them. Due to time constraints on our part, we had to make the decision to either continue working on the site off-line until it was 'ready', or, publish the site and populate it as time allowed in order to get the galleries up and available to the collector. We chose the latter because we felt 'something' was better than 'nothing'. Ideally we would have had everything populated but it didn't work out this way. We decided to leave the left navigation populated so you could see what information/topics we initially plan to provide and discuss. So, we will populate the remainder of the site as time allows, but as stated elsewhere, by nature, the site will always be dynamic. Please keep checking back and don't forget to refresh your browser cache with each visit. Why won't the Search Box results display our "K" number query? There are two possibilities; either the particular medal you are looking for has not been input as yet, or, you entered the search parameter incorrectly. The format, for example, is 'K-123'. Upper or lower case 'k' doesn't matter but you need the hyphen between the k and number in order for the search to work. If you still get no results then it's our fault and we'll need to get the information in. Why is the site so dark? Certainly you’ve experienced walking into a dark movie theatre from the bright outdoors only to be ‘blinded by the dark’, right? We felt that the best way to view this site was to design it in such a way as to minimize this effect. This site contains no “brightly lit” pages and, with the exception of linked external pages, your viewing experience will improve the longer you stay on the site as your eyes adjust to the lighting. 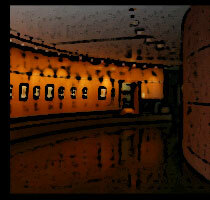 We’d like your experience here to be similar to walking through a lush, dimly lit museum. We also suggest that your personal viewing environment be lit in the same manner to enhance the experience. What is the best resolution to view this site? This site was created at a 1024 x 768 resolution, however, in order to accommodate different web browser 'chrome' we suggest that you, if possible, view this site at higher resolutions in order to view the entire page and to experience the images presented on the site to their best advantage. We have embedded an interior, vertical scroll bar for the convenience of viewing longer pages. The browser dependent scroll-bar can be found on the right frame of the content window. Would you explain the different text navigation links on the site? Sure, Our top navigation bar and the footer navigation bar are the primary navigation links to site sections. Our secondary navigation is in the left navigation window where links to sub-section and third level pages can be found. Our content window is dynamic and, if content is longer than the default page length, a small scroll bar will appear on the right margin so that you can scroll down through the content. Some web browsers have difficulty with this and might not always display the entire length of the page. If this occurs, refresh your browser by using the appropriate browser refresh button or, right click your mouse and pick 'reload'. the entire page should then become viewable. Blue text – Off-site links/pop-ups: Pop-ups will appear at the top left of your screen. They may be scrolled or resized if you find it necessary. The internal Rust links either pop-up images which can be closed after viewing or, they may redirect you to another page located on the site with more information. These pages replace your original page and it will be necessary to use your browser’s back arrow to return to your previous page if you so desire. Additionally, most of the images used throughout the site are linked to their respective gallery pages to provide instant access to the associated high-resolution image with available information. It appears you are using content directly from the Kienast Volumes I & II. Aren’t these books copyrighted? Yes they are. What isn't common knowledge though, is that Gunter Kienast passed the copyrights along to the owner of karlgoetz.com back in 2004. Gunter was very gracious in doing this and we feel he did so because he recognized our passion and drive required to carry the Goetz torch into the future. So little is known and written extant of the Kienast Volumes that karlgoetz.com has used Gunter’s text as its informational foundation for the site. Our intent is to add new Karl Goetz information and discoveries to the site as it becomes available. This is not a bad idea as the information served from this web site will be dynamic and reach far more people than the static, expensive, and very limited number of Kienast Volumes could ever do. There’s no advertising and although this is wonderful, we’re suspicious. What are you getting out of this? How many times have you gone to a museum and discovered a corporate logo attached to the description tag of a Matisse or Picasso? That’s what we thought…and you won’t see it here either. Put simply, Karlgoetz.com was not created to generate revenue and placing advertisements of any sort on the site seems rather crass to our sensibilities. We cannot, however, afford you the same protections regarding any other external web sites linked from this site. What we are “getting out of this” is the satisfaction in sharing our knowledge about a great artist and his works. This is something that, for the most part, has been absent for Karl Goetz. We receive further satisfaction knowing we are providing what we perceive as a more rounded view of Goetz within the context of his total suite of works. Since we input data on a daily basis we surmise it might be your browser. We suggest that you refresh your web browser. We originally wanted to code the site to do this for you with each visit but some web-browsers don't play well with the coding so the onus is, unfortunately, yours. Is there a reference book in the works? Actually, we've been tossing that idea around although any plans, for now, remain on the back-burner. We'll put more thought into the idea once this site has been fully populated with all the necessary information and everything proves stable. I have some KG information I’d like to share. Who do I talk to and will I be credited for providing the information? Please contact us at: or Skype us at: karlgoetz.com (06:00-10:00pm Pacific Time). You are also welcome to visit our Community Forum located at where, after becoming a member, you can post to your heart’s content.